There is no question what the biggest story in sports this week was. And it wasn't the NBA or NHL playoffs, or MLB. We're talking Tiger. Tiger Woods. Maybe you remember him. In the Masters, the biggest PGA tournament of the year, he won his fifth Green Jacket. And 15th Major. 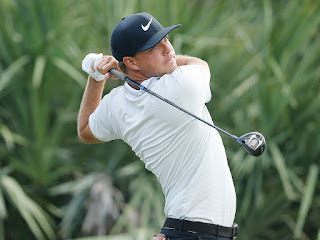 He did it by emerging from a star-studded field, including 2018 major champion Brooks Koepka and Francesco Molinari along with Dustin Johnson, Tony Finau, and Webb Simpson. But it was Tiger who down the back stretch, was nails. He went from tied to 2 strokes ahead as other contenders made mistake after mistake. On the 18th hole, he needed a 5 bogey to win. He took all five. 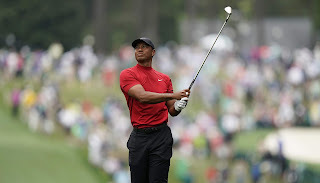 Greatness was returned, as Tiger won his first major in 11 years and fifth masters to go with 1997, 2001, 2002, and 2005. Amazing to think the fans born the first year he won The Masters are at most 21 years old. And here we are with Tiger Woods back on top. Enjoy it fans. It's what sports is about. And Tiger Woods is the Longhorndave Sportsman of the Week! 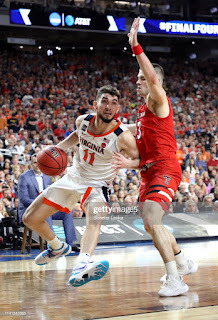 The Virginia Cavaliers won their first Men's NCAA Basketball Championship and it was due in large part to a balanced guard attack as they survived late surges and drama in the Sweet 16 and Final 4. But it was Junior Ty Jerome who filled the stat sheet more than most. 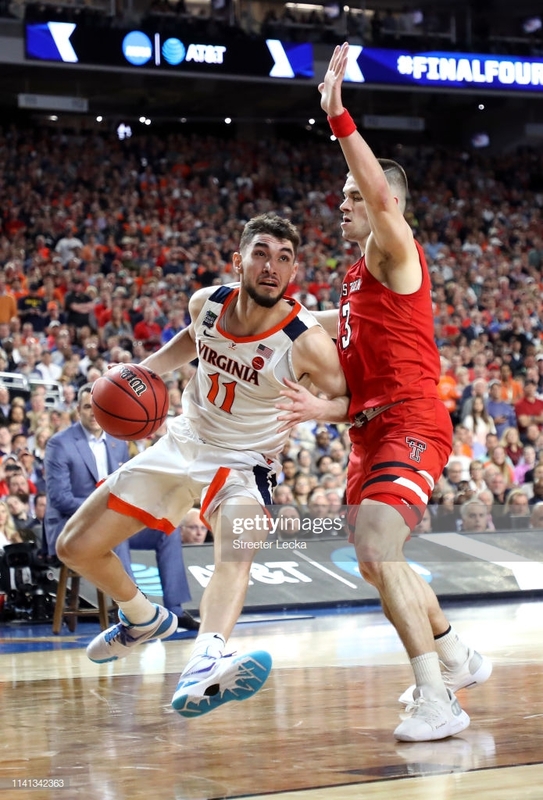 The 6'5" Jerome led the Hoos with 14 assists total in the last two games, but surprisingly notched 15 rebounds while scoring 37 points of his own over the two games, well above his 13.6 PPG regular season average. This was coming off a 24 point performance in the Regional Finals, he simply was the engine that led Virginia to their first National Championship and is our Sportsman of the Week! The Madness of March is dying down now that we're in April, but the Auburn Tigers have redefined the role of unexpected party-crasher. Having beat the Big 12 powerhouse Kansas in the second round of the NCAA tournament, they faced the top seeded ACC North Carolina Tar Heels in the Sweet 16. Led by Jared Harper and 11 assists and 9 points in 25 minutes, the Tigers separated quickly from Carolina for a 97-80 victory. But it was in the Elite 8 against another powerhouse and fellow SEC rival Kentucky that Harper really shined. He poured in 26 points, highlighted by 11-11 from the free throw line (and 12 points in overtime out of his team's 17 total) to defeat the Cats and avenge their last loss on February 23. Yes. They haven't lost in over a month. The Tigers look poised to beat their next Goliath and it will be on the leadership of our Sportsman of the Week, Jared Harper! The effort of the reigning National Basketball Association MVP cannot be ignored. 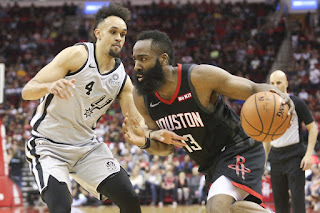 James Harden has willed the Houston Rockets from outside looking into the playoffs early in the season to a strong hold on the third seed while setting scoring records not discussed since Wilt Chamberlain. Harden is averaging an astronomical (get it, Rockets) 36.4 points per game. Second place is 28.2 (Paul George, OKC). For context, the distance from 1st to 2nd (8.2 points) is larger than the distance from 2nd to 33th (Nikola Jokic, DEN, at 20.2). This week, Harden scored 177 points over 4 games (44.25 average, team went 3-1 ), including a 61 point effort (matching his career high) and a 57 point effort in back to back games. These were two of his eight 50 point games. The rest of the league combined only has ten. Over the week, he was 28-53 on 3 pointers, well over 50% for a stretch not being hesitant while the other team knows it's his game. Harden may just will the Rockets to their 3rd World Championship and first in nearly 25 years. He is our Sportsman of the Week! March is for NCAA basketball Madness and it starts with the conference tournaments. After 2+ months of beating each other up in the regular season, every conference goes to a major city in its region to battle again over the weekend to determine who is the champion, or at least the other champion and get that automatic berth to the NCAA tournament. In rare cases does it matter for a major conference in terms of the berth, but for the Duke Blue Devils, it was time for revenge. 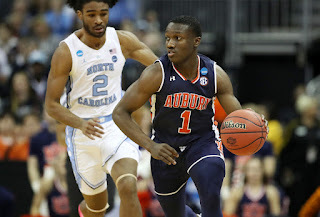 Led by the acclaimed most talented freshman in college basketball Zion Williamson, the Dookies avenged regular season losses to Syracuse (quarterfinals) and North Carolina (semifinals) before dispatching of Florida State for the ACC conference title. Williamson, who hadn't played in 3 weeks since he blew out a shoe and hurt his knee in a second regular season loss to North Carolina, led the way. 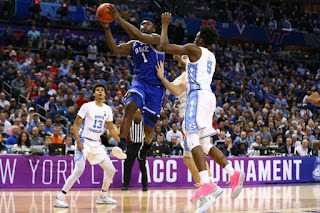 Over the three games, Zion poured in 33 field goals on 43 shots, including 3-6 beyond the arc to average 27 points and 10 rebounds in a dominating effort. Zion looks poised to lead Duke to their potential sixth national championship and first in 4 years, and it looks like he may not be stopped. Zion Williamson is the Longhorndave Sportsman of the Week! 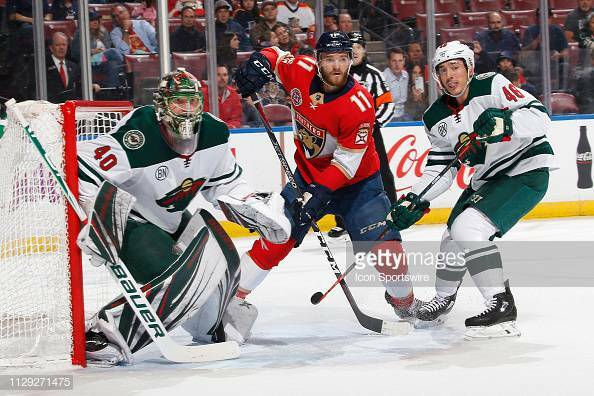 The spring sports season is filled with a lot of variety, and the NHL regular season is winding down with stars emerging. 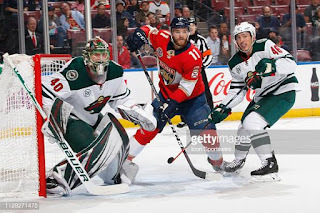 The Florida Panthers left wing star Jonathan Huberdeau netted 9 points, all in his last 3 games as his team went 2-1 as they try to angle for a Wild Card spot. Huberdeau has reached the 20 goal plateau for the 3rd time in 4 years, and his 74 points are a career high. Hard to believe he is in his 7th year as a 25 year old, he will surely be a force for future years. And is the Longhorndave Sportsman of the Week! In the calm before the March Madness and baseball storm, a new PGA Tournament Champion emerges on the sports scene. Keith Mitchell beat some heavy hitters to win the Honda Classic. Mitchell birdied 4 of his last 7 holes to hold off Rickie Fowler and Brooks Koepka. That Koepka that won the U.S. Open and PGA Championship in 2018 and is poised to be a force in all majors this year. Sergio Garcia and Justin Thomas could be seen further down the leaderboard. The 27 year-old Mitchell had nary a win even on the Web.com tour, but now he registers as a legit PGA champion. And that can be said by few. Our Sportsman of the Week! There's an American sports legend among us, but not nearly appreciated enough for her dominance. Mikaela Shiffrin. At the age of 23, she rocked the World Championships of skiing with gold medals in Slalom and Super G with a bronze in the Giant Slalom. Winning her fourth straight Slalom title was a challenge, given her health. She went from a tickle in her throat to borderline pneumonia in about a two hour span (credit Denver Post). 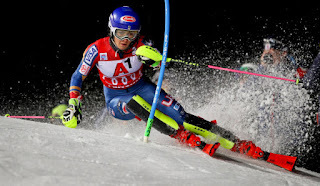 She currently sits at the top of the World Cup standings with top points in the Slalom, Super G, and Giant Slalom. Her dominance continues the rest of the ski season, but she is a worthy Sportswoman of the Week! It was a redeeming end to a tough month for Joe Gibbs Racing (JGR). Having lost the former Super Bowl champion coach's son J.D. Gibbs to a neurological disorder just over a month prior to the season opening race, JGR managed a nearly unprecedented sweep the podium at the Daytona 500, led by prior champion Denny Hamlin. 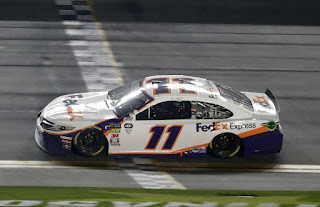 With three major crashes in the final 20 laps, Hamlin skillfully stayed out front and let the chasers knock each other out, while holding off JGR teammates Kyle Busch and Erik Jones along with defending Cup Series Champion Joey Logano over the final Green-White-Checkered overtime finish. Masterful use of pit stops along with execution throughout the afternoon, Hamlin's car was clean and fast. But it was the 21-car-pileup with 10 laps to go that broke the field wide open and left a handful of other decorated veterans like Busch, Kevin Harvick and Logano as major threats to Hamlin's victory. But Hamlin held them off and took home the trophy for his team. And most importantly, JGR and J.D. Gibbs. Hamlin is the Longhorndave Sportsman of the Week. The greatest female alpine skier in American history retired on top. Well, maybe not on top. But still impressive. Lindsey Vonn (USA) won a bronze in the World Championship Downhill in her final competitive race. At 34 years old, she is the oldest lady to win at the Worlds. 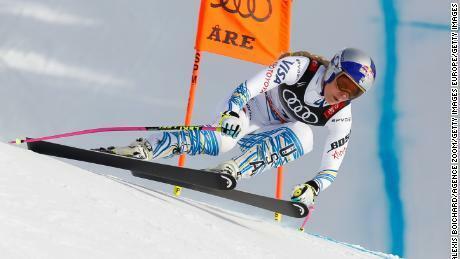 She beat fellow American, Lindsey Vonn who won two years ago at age 32. She won the bronze in the downhill following a crash in the Super G less than a week ago. She becomes the first female skier to win at six Worlds. She won 82 World Cup races. But her body is done. The surgically repaired knees, worn out neck, sore back, hours in the training room. She won again. Maybe not gold, but bronze. Which is enough to be the Longhorndave Sportsmwoman of the Week!